A wonderful opportunity to build a childrens website presented itself. We were rebuilding the website for the Blackstone National Heritage Corridor and a new childrens website was needed. The purpose of this project was to create an educational area in the site where kids could explore, discover and protect their National Heritage Corridor. We designed and built a fun animation to welcome kids to the site. Watch it in action! 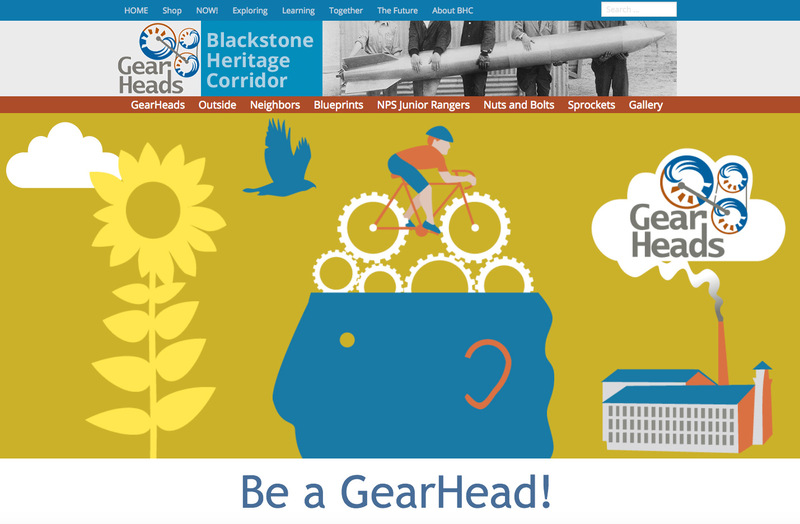 The new website is made up with departments that help kids discover and get involved in their National Heritage Corridor. Outside explores nature. Neighbors brings people past and present into the spotlight. Blueprints are hands on projects. Farm Website: Massaro Community Farm Gets a New Look. South Windsor telecommunications company needed a marketing website redesign. Chiropractic logo design turns into an amazing sign!